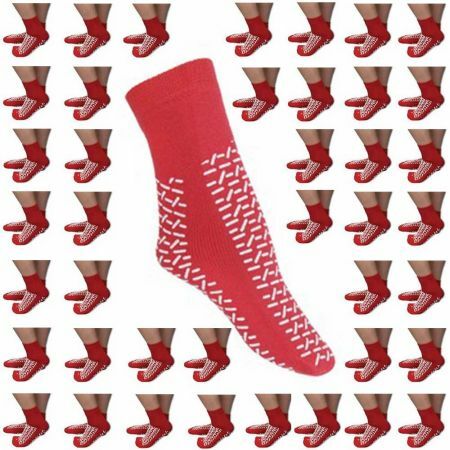 A complete case of 48 pairs (with a substantial discount off the list price) of the superb Double Sided Tread Slipper Socks. 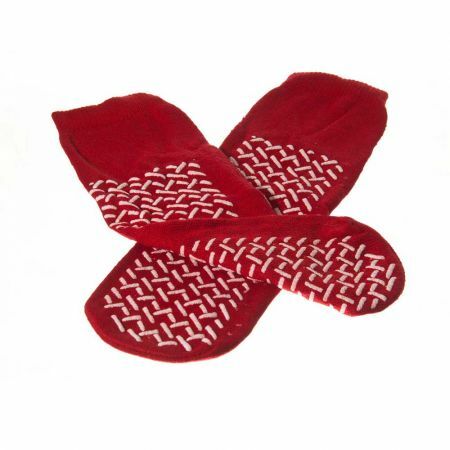 Ideal solution for nursing, residential and care homes where clients are in need of a quality slipper sock. Double Sided Tread Slipper Socks where the slip-resistant tread is fused to both the top and bottom of the slipper to provide a continuous grip for the wearer even if the slipper twists on the foot. 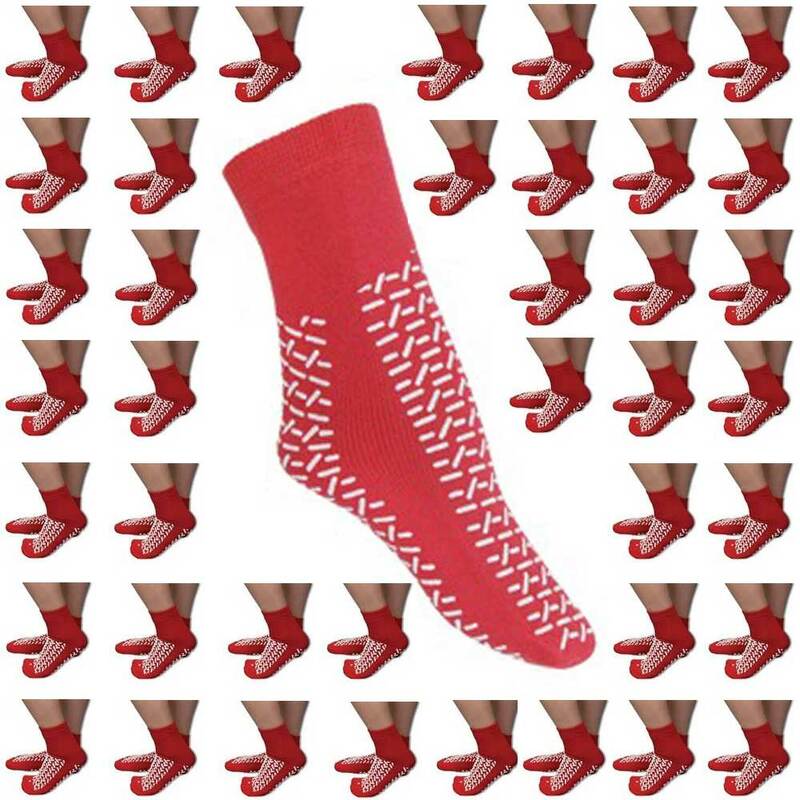 Offers extra security whilst on your feet and added protection against slips and falls. 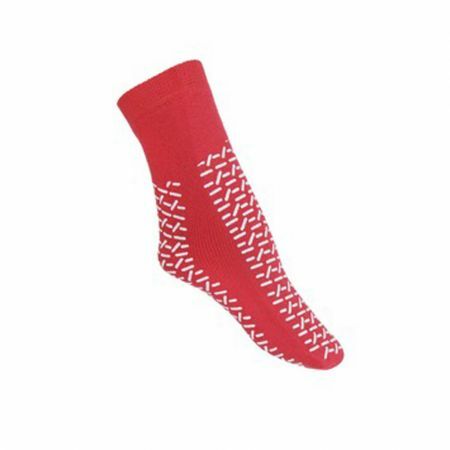 Twice the Appeal - absorbent terrycloth interior helps keep feet dry and comfortable. Generous universal sizing ensuring a comfortable fit for the majority of foot sizes even when the wearer might be prone to swelling of the ankles and feet. Very easy to slip on and off. Red colour means they are difficult to misplace and easy to spot.